We work with realtor’s to support your business in every way including assigning a dedicated salesperson to your account and more. We are pleased to assist your clients in making their home ready for sale or buyers wanting to replace flooring in their newly purchased home. 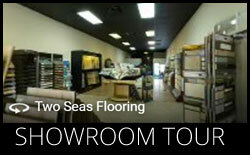 At Two Seas Flooring, we understand what is important to our builder partners. We pride ourselves in delivering the products for your homes, on time, with the standard of quality expected. Our builder program allows for full disclosure on cost to our partners, establishing a fair margin and the best value for your homebuyers. We excel in what is most important to our property management partners… Value, on time delivery, quality products and excellent customer service. Two Seas will provide a turnkey service or allow our property management partners to purchase products at wholesale prices, utilizing their own installation team.